Arsenal’s match with Stoke City on Saturday marks their charity matchday this season, where for the 10th consecutive year, the manager, Arsene Wenger and the players will be donating a day's wages to The Arsenal Foundation. The Foundation uses the power of football and the Arsenal name to make a difference to young people’s lives. It works close to home, in north London, with a host of community projects, and internationally, for example working with Save the Children to provide safe places to play football for youngsters in Iraq, Somalia, Jordan and Indonesia. 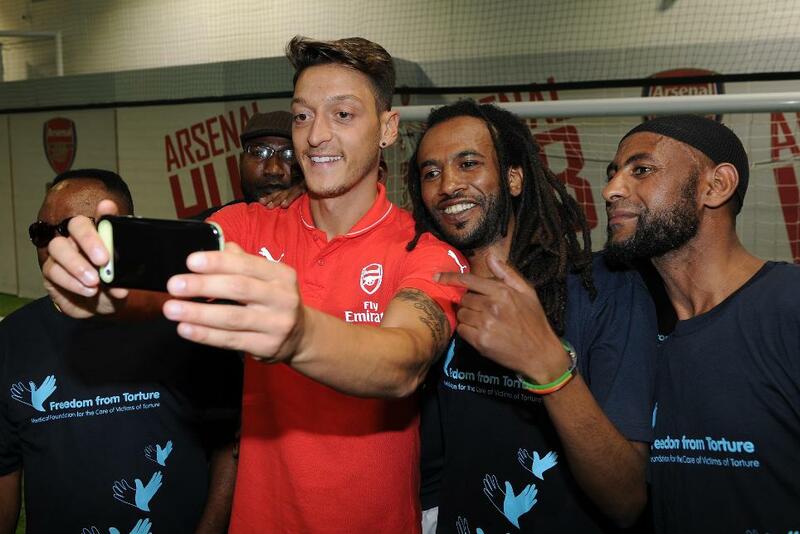 Ahead of the charity matchday, Mesut Ozil, Shkodran Mustafi, Danny Welbeck and Rob Holding have shown just how easy giving can be ahead of our charity matchday against Stoke City this weekend, with a charity bucket challenge (click on video below to see). "Our annual charity matchday is an important part of what we are as a club,” Arsenal chief executive Ivan Gazidis said. “We are in a privileged position where we can make a meaningful difference - both with the funds we raise and the power the Arsenal name has to inspire young people. We want to make the most of that opportunity."